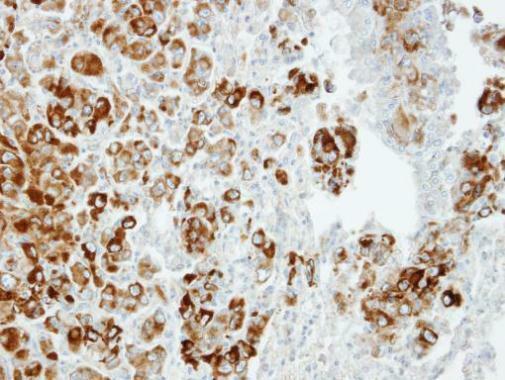 Immunohistochemical analysis of paraffin-embedded CL1-5 xenograft, using Importin 13(TA307937) antibody at 1:100 dilution. 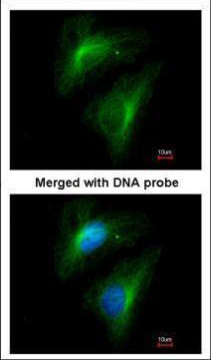 Immunofluorescence analysis of paraformaldehyde-fixed HeLa, using Importin 13(TA307937) antibody at 1:200 dilution. 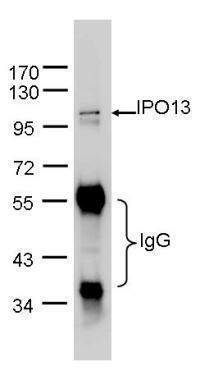 IPO13 was immunoprecipitated from 1mg of Hela whole cell lysate using 10 ug of anti-IPO13 antibody (TA307937). 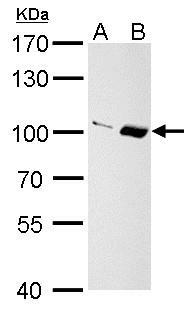 The precipitated IPO13 was detected by TA307937 diluted at 1:1000.